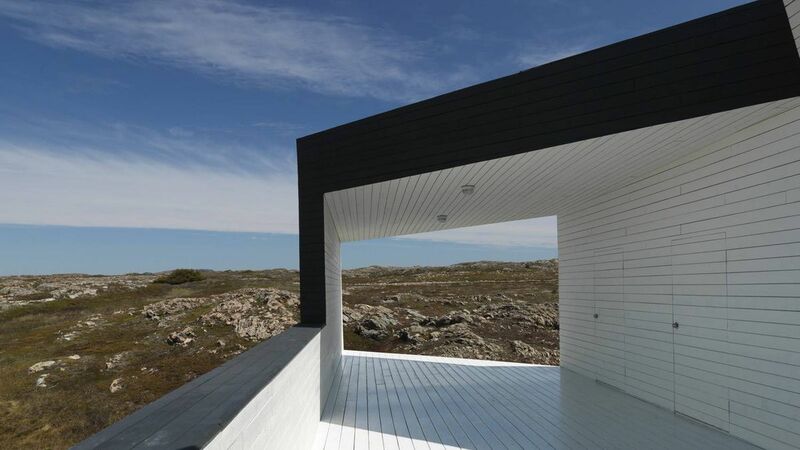 Only natural materials were used in the bold, contemporary design of the Fogo Island Inn in Newfoundland. Let's say you want to make a splashy wedding proposal with the help of a flash mob in Vancouver. How do you co-ordinate such an event? Tricky, right? Not necessarily if you use Quintessentially, a "luxury lifestyle-management and concierge service." With offices in 64 countries, the company serves high-net-worth clients. Its top three requests are for travel, restaurants and tickets, says Shane Reid Mungal, president and chief executive officer of the Canadian branch, but if you want to book the CN Tower's SkyPod for a private marriage proposal or put your children's book into the hands of the royal family, that can be arranged, says Mr. Mungal, who has worked in high-net-worth banking and wealth management. His service can put you into singer Drake's private club at a Toronto Raptors game at the Air Canada Centre, or arrange to have celebrity chef Mark McEwan visit your table at his au courant restaurant One in Toronto. This is the type of access that companies use to inspire their high-net-worth clients to share stories and generate referrals. Wealthy people will always need financial advisors, estate planners and brokers, but why not have a little fun, too? Here are 10 ways to enjoy your wealth, keep it safe and have a few stories to tell. To really get away from it all – including fellow travellers who want to bend your ear about the deal they scored on Priceline – remote Fogo Island Inn in Newfoundland is worth considering. Located on the Atlantic along "Iceberg Alley," the inn's 29 suites start at $1,675 a night and have floor-to-ceiling views. Only natural materials have been used in its bold, contemporary design. While at Fogo, discover the area's unique geography, view icebergs in the spring and watch puffins, beavers and whales in their natural habitats. In the evening, enjoy a locally sourced meal and sip a drink made with iceberg ice. Tailors to royalty and U.S. presidents, Norton & Sons has long been a bastion of elite custom suit-making. The firm, of London's famed Savile Row, takes three to four months to make a client's first suit. The company takes appointments in London year round and three times a year in New York with its cutter Nicholas Hammond, but you may also arrange a private fitting. "In order for us to provide this service we have a minimum order, to be arranged prior to the fitting, and all travel expenses need to be covered," says customer service manager Gina Gibbons. Suits take up to 11 craftsmen as many as 60 hours to complete. Two-piece models start at $7,300. Investing in stocks and bonds is a great way to plan for the future, but even the most dedicated accountant would have trouble calling them fun. At RM Sotheby's in Blenheim, Ont., your investment will have four wheels and can provide both joy and healthy returns. The company is the world's largest auction house for investment-quality automobiles, and its concierge service can arrange travel and bidder registration. At a recent auction, a 1966 Aston Martin Volante fetched $1.7-million. Long lineups, security checks and delayed flights have made flying increasingly undignified. Why not take your own plane? Aurora Jet Partners, with offices in Vancouver, Toronto and Edmonton, will find an aircraft for you; it also offers charters and fractional ownership. The company provides management services such as staffing, maintenance, scheduling and a charter service so your plane can earn revenue when it would otherwise be idle. In addition, a jet-exchange program gives you access to the other aircraft in the company's fleet. If you enjoy the occasional Cuban cigar, have them delivered by Victory Cigars, which has a bricks-and-mortar shop in Oshawa, Ont., but also delivers anywhere in the province by courier. The cigars range in price from $2 to $130 each. Maritime cigar aficionados can find Cubans at Paul Stulac Cigars in Halifax; in Alberta, the online-only Canadian Cigar Co. ships to customers in that province. In Winnipeg, there's Thomas Hinds Tobacconist, and in Vancouver, join the West Coast Cigar Club, which is home of the "Society of Unrepentant Cigar Connoisseurs." If you want to stock up, "cigars can last forever in a properly maintained humidor," says Kevin Newell of Victory Cigars. Canadians pride themselves on their universal health care system, and while it's impressive in many ways, wait times can be long. If you prefer faster service, consider a private clinic. Copeman Healthcare Centre, with offices in Calgary, Edmonton and Vancouver, offers a 12-month care-and-screening package for $4,495 with a focus on preventative care and early detection. Prices drop after the first year, and family and corporate rates are also available. Experience nature at Nimmo Bay Wilderness Resort on Vancouver Island, accessible only by helicopter or float plane. With a tour package from Canada by Design, an agency offering high-end custom vacations in Canada and Alaska, you'll go heli-fishing, learn about killer whales in the Johnstone Strait, ride a helicopter to white sand beaches, explore intertidal waters with professional kayakers and float down a river on a raft amid 1,800-metre peaks. The outing will put you "face to face with cloud-level mountain goats, flying over bear and moose." Five-day packages range from $18,000 to $22,000 a person, based on double occupancy. Elite Domo is a staffing agency that supplies domestic service staff such as chauffeurs, nannies and butlers to families in Canada, the United States and the Caribbean. According to the company, which has offices in Toronto and Montreal, a personal chef can run $70,000 to $150,000 a year, depending on the complexity of the job. Cooks cost approximately $50,000 to $60,000 a year. A recent job posting for a home in the tony Bridle Path neighbourhood in Toronto offered a salaried position for a private chef who will manage all kitchen needs for the family. The successful candidate must have at least 10 years of experience in a private residence or yacht, and "discretion is required." Have you ever wondered who manages a safe return when someone is kidnapped in a foreign country? The insurance brokerage Concierge Insurance Services covers people as well as their yachts, art collections, rare books, jewellery and wine. It offers worldwide coverage for automobiles, homes and vacation properties. Coverage is also available for identity theft, fraud and "physical and mental recovery following a traumatic event." Outside Canada, they offer kidnapping and ransom insurance. The wealthy and/or famous often need public relations guidance for two reasons: They have a story to tell the world, or they want those pesky reporters to go away. Navigator Ltd., which has represented Michael Bryant and Jian Ghomeshi, specializes in helping high-profile clients control their message, for a reported fee of $600 an hour. 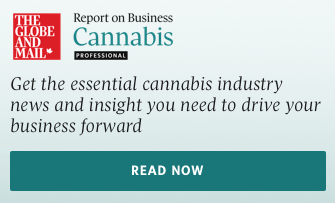 Navigator claims to have mandates from more than 40 of Canada's top 100 companies, offering a full range of PR duties for corporations that go far beyond their 24/7 crisis line. According to a RBC survey, a large portion of Canadians don't have a full wealth transfer strategy in place.